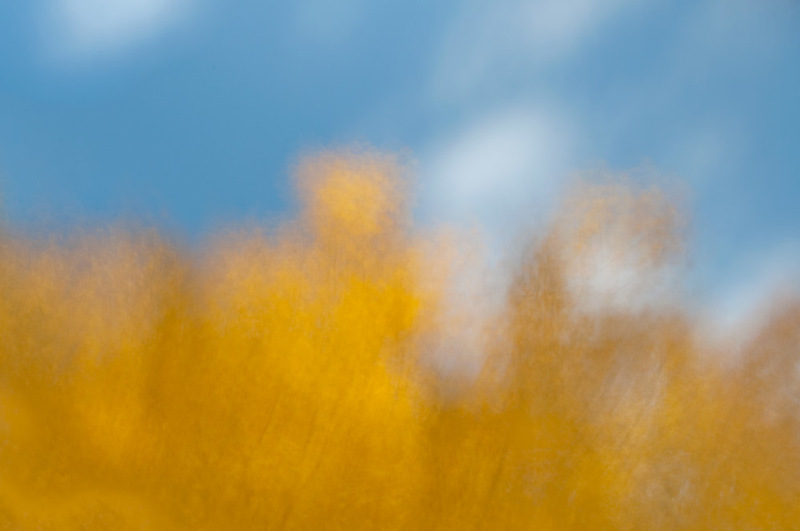 Luminous Impulsions of Autumn Color - A study of autumn foliage combined with deliberate motion. This series examines the effects of using deliberate camera movement during a long exposure. While photographing these scenes, using a neutral density filter allowing for exposures of up to 30 seconds, I shook my camera, sometimes violently, while focusing the lens on colorful autumn foliage. The result is shown in these seven images selected for this series.